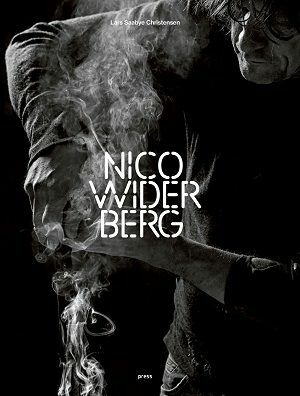 Driven by an almost unrelenting creative impulse, which seems to be a Widerberg tradition, Nico Widerberg achieved international recognition early in his career. By competing, and winning many significant public commissions for large-scale sculpture he rapidly established himself in both Scandinavia and Britain. His figure sculpture is timeless whether it is made in bronze, granite, or glass. Predominantly still and monolithic, it unites traditions as diverse as pre-classical Greek and the elongated presences of Giacometti. Sometimes it seems as if in developing a stubbornly private form of neo-classicism Widerberg has insouciantly by-passed a century of modernism and its aftermath. If he has, it is in that spirit that Andre Breton observed in the antique, the metaphysical. Nicolaus Widerberg was born in Oslo in 1960, the son of Frans Widerberg the distinguished Norwegian painter. After graduating from the Academy in Oslo he continued his studies in France and Italy, and in 1991 he received a state scholarship. He has participated in numerous group shows in Scandinavia and since 1984 has held many one-man exhibitions at Norway's major public and private galleries. His works are held in public and private collections in Norway, USA and Britain. His most prominent commission works are the monuments of Thor Heyerdahl, Trygve Lie, the commission for the Norwegian Government Building, Oslo Airport Gardermoen, Northumbria University in Newcastle and the 52 Memorial sculptures after the 22.07.2011 tragedy. He currently lives in Oslo where he has his studio.